To download the guide in English, click on the booklet’s cover photo, at right. The guide is also available in Chinese, Korean, Spanish, and Thai. 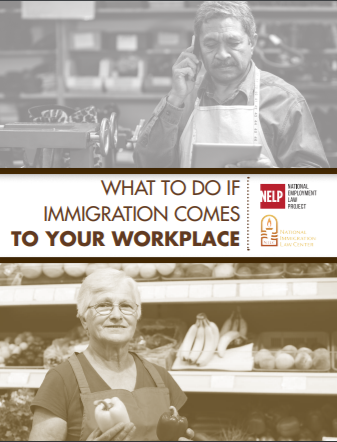 what employers can do after an Immigration and Customs Enforcement (ICE) action. Important! This guide is general information. It is not legal advice. It is not tailored to your situation. Talk to an immigration lawyer for advice in your case. To download the guide, click on the booklet’s cover photo, above.